EC3 is a web and mobile application for Emergency Command Control and Coordination management. 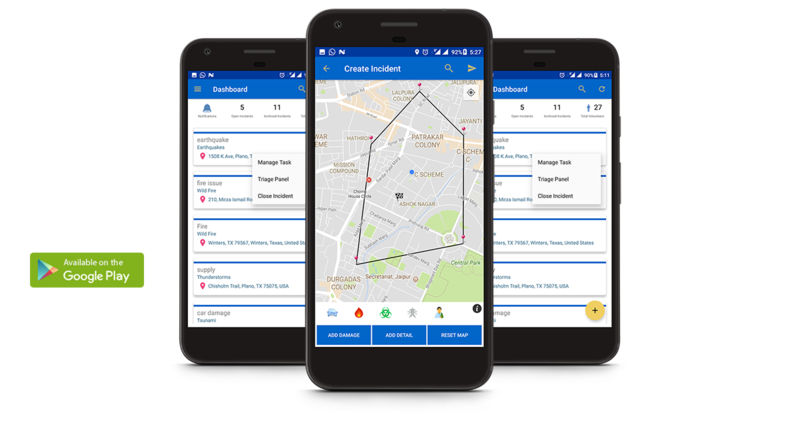 The platform is designed to assist Commanders and Volunteers to make timely decisions during emergencies, organize volunteers, provide assistance and collect disaster information before for preparedness and during a crisis. It offers two types of login for users: Volunteers and Commanders and one additional administrative login. The administrative login controls all tasks assigned to Commanders and Volunteers via. messages/ mails/ push notifications during emergencies. Commander can create tasks and assign those to volunteers. They can also filter task based on selected task status and manage those by coordinating with volunteers. Volunteers can Accept/Decline task and send status to commander. They can also search for task using location, incident and commander and mark current location.